DOWNLOAD HERE: SPORT SG Inter Condo Championships 2017 Registration Form. ONLINE REGISTRATION: SUBMIT YOUR TEAM ONLINE HERE. Teams may mutually agree to play at alternative days and timings so long as result may be submitted by weekly submission deadline. 2 sets of first to reach to 6 games with difference of 2 games won, tie-break at 6-games all. In the event that a match is locked at one-set each, a deciding first to reach 10 points (with a difference of 2 points won) super tie-break shall be played as to determine the winner. No ad scoring shall apply (If both players have won three points, ie. 40-40; one deciding point shall then be played whereby the receiver shall choose whether he/she wishes to receive the service from the right half of the court or the left half of the court. The player who wins the deciding point wins the game). Overall winner of the tie shall be the team that has won at least 2 of the 3 matches. 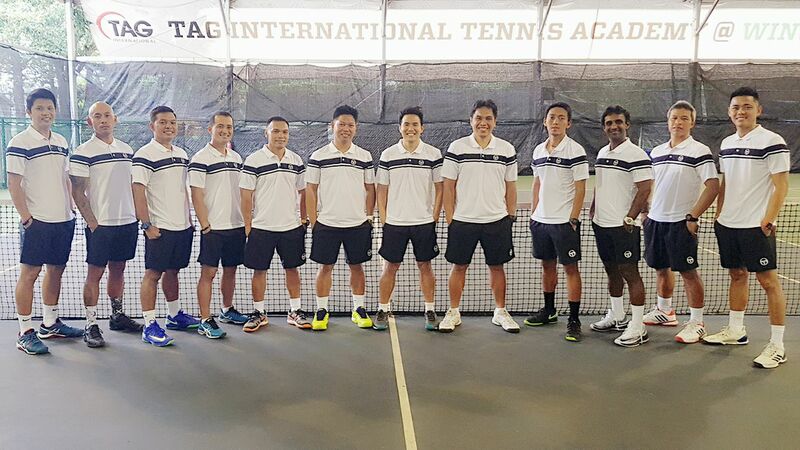 Please download a copy of the SPORT SG Inter Condo Championships 2017 Registration Form and submit it to Coach X of TAG International Tennis Academy at contactus@tagtennis.sg or Mark Teo of Sport Singapore at mark_teo@sport.gov.sg ahead of the Closing Deadline.